Science is a good match for the open source philosophy. Joshua Pearce of Michigan Tech’s Open Sustainability Technology Lab is an example of where the rubber meets the road. 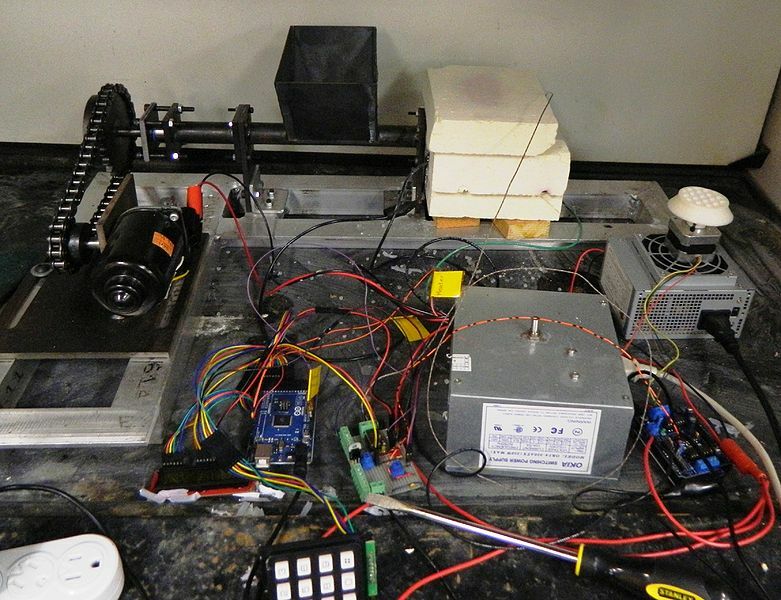 He has nearly two dozen Thingiverse things, and most of them are awesome tools for scientists. His work has been profiled in Mighigan Tech News and Popular Mechanics. You can also read the transcript of an interview with Science Magazine Podcast here (pdf). Pearce has a paper called Building Research Equipment with Free, Open-Source Hardware in Science Magazine, but it’s behind a paywall. The summary is here. 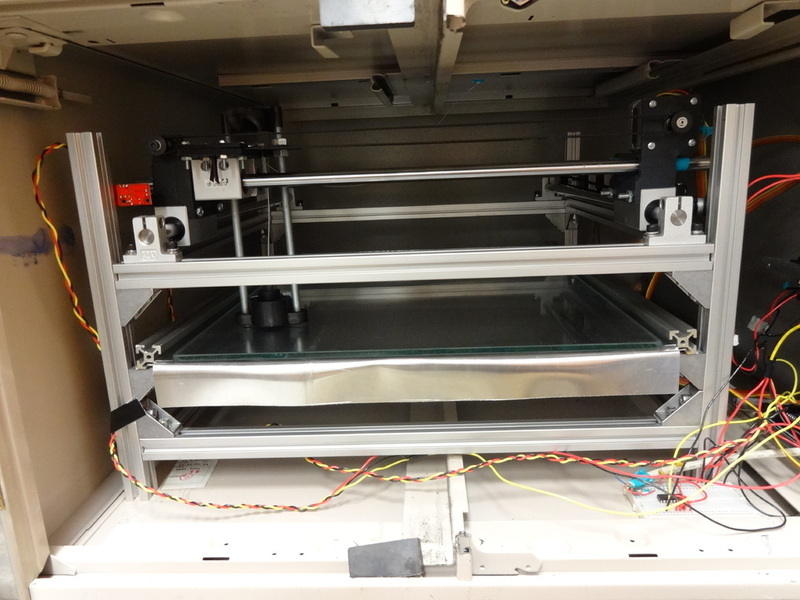 To start things off, this is an open source laser polymer welding system. You know how a radiator has all those little tubes running through it? That’s because you can quickly transfer heat out of water if you create a lot of surface area. A heat exchanger is when you wrap a radiator in more water so that the heat goes from one bit of water to a different bit. The key is surface area. Pearce’s welding system basically takes a trashbag and uses the heat of the laser to fuse it together, which makes a lot of long, thin channels. If you’re enough of a geek that you just made fun of my over-simplified description, you can read the full paper here. Pearce’s group is also responsible for the Recyclebot series of gradually more automated open source plastic recycling machines. The idea is to take shredded waste plastic, dump it into the Recyclebot, and then go to lunch. When you get back you will have a roll of commercial-grade plastic filament ready to be used by your 3D printer. Things aren’t really there yet, particularly since the Recyclebot depends on something else to get the plastic all shredded, but eventually it will be an indispensable technology. Everything you ever wanted to know can be found here. 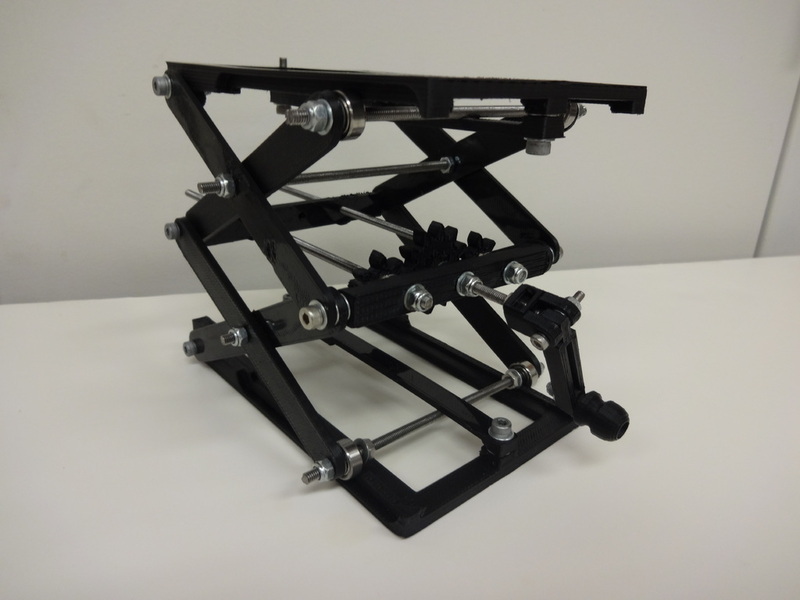 Part of the all-encompassing open source optics project is this optics lab jack. He designed it with a 2:1 ratio so that it doesn’t take all day to raise and lower the thing. If you don’t like that, or if you want it in a different size, you’re in luck. The whole thing is generated by an OpenSCAD script so you can edit it to your heart’s content. Pearce has more stuff on this Thingiverse page and it looks like his Michigan Group is constantly producing even more.